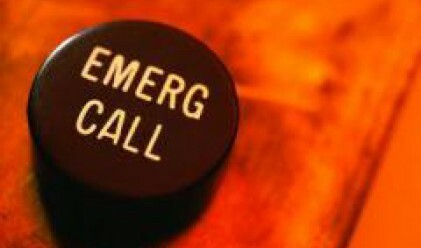 The Council of Ministers allocated 48 million leva from Bulgaria's national budget surplus to complete the national emergency call system based on the standard European emergency telephone number 112, the Disaster Policy Ministry said on Friday. The money will be distributed among the institutions involved in the project as follows: 26 million leva will go to the Disaster Policy Ministry, which is in charge of building and equipping regional 112 centres; the Interior Ministry will use 6 million leva to build telephone connections for the police and fire services; the Health Ministry will use 3 million leva to build ambulance service connectivity; and the State Agency for Information Technologies and Communications will use 13 million leva to complete the creation of the national optical fibre network. The Disaster Policy Ministry awarded the Kontrax company a public procurement contract to finish the building of the national emergency call system based on the standard European emergency telephone number 112. The Ministry and the company signed a framework agreement to this end. The Ministry expects that 112 centres will be built in Rousse, Bourgas, Varna, Montana and Plovdiv by the end of 2008.